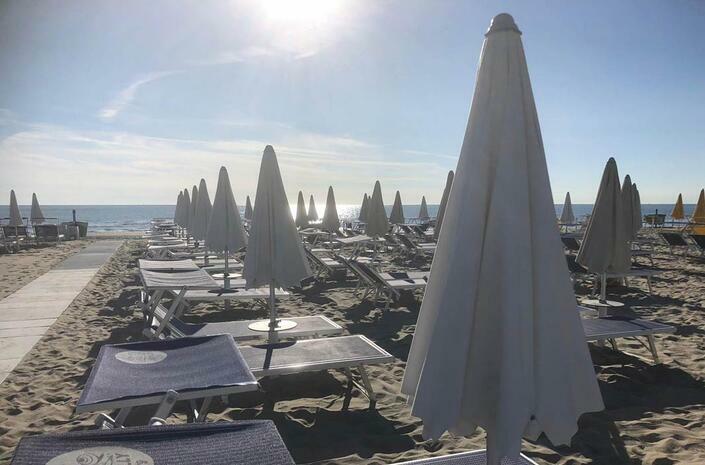 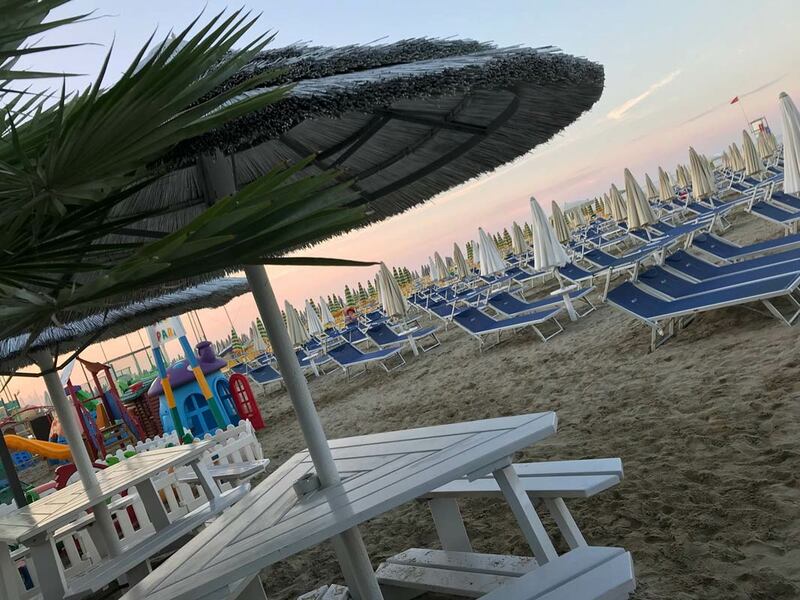 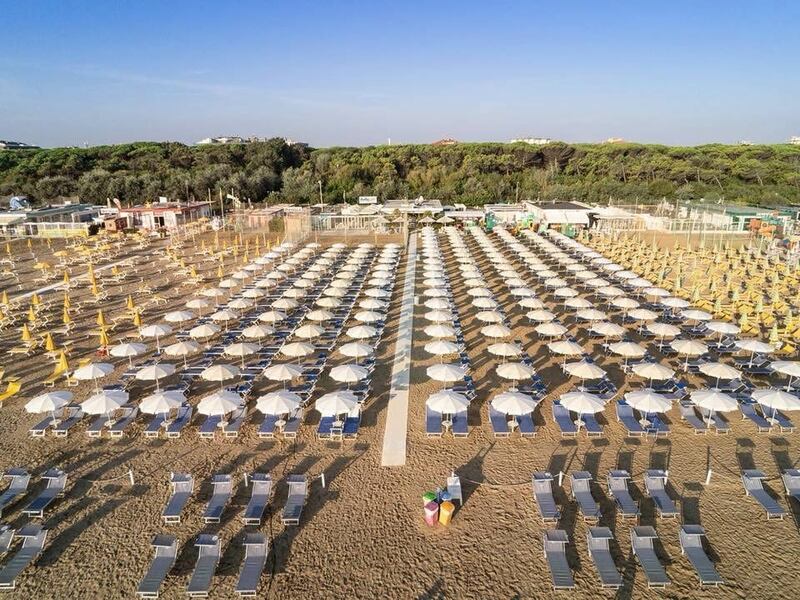 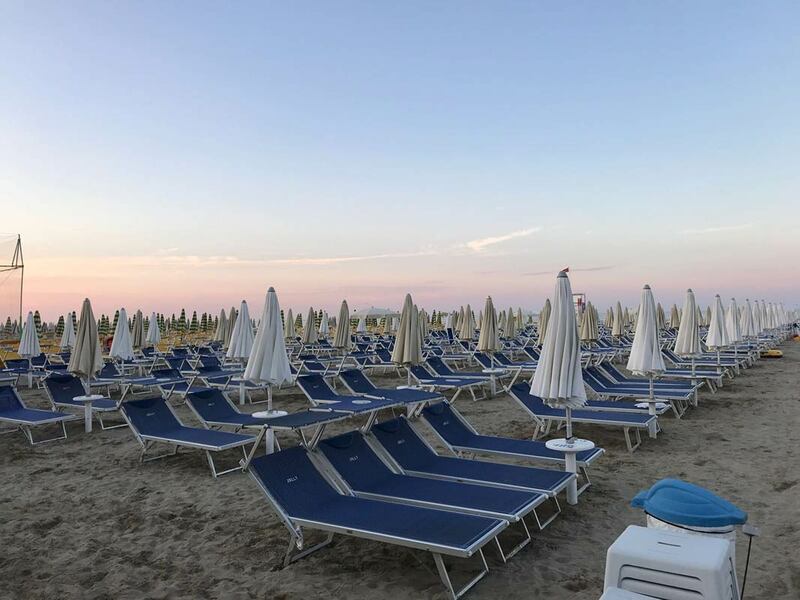 Beach service is included for those who stay at our hotel of Pinarella! 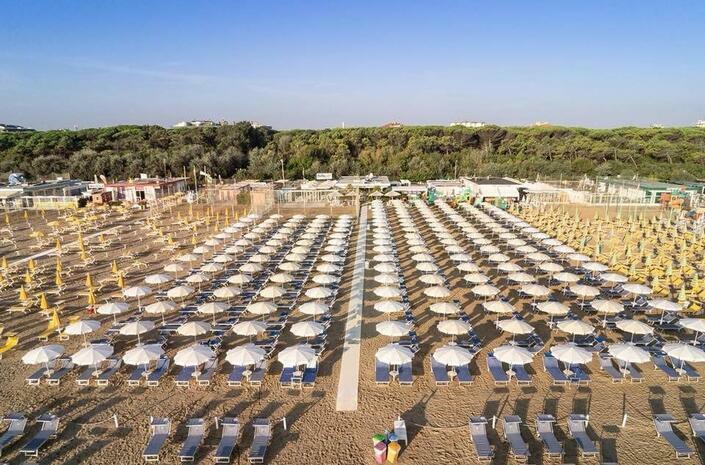 Only 150 meters away from the hotel, Bagno Jolly n. 79 has always been our reference bathing establishment. 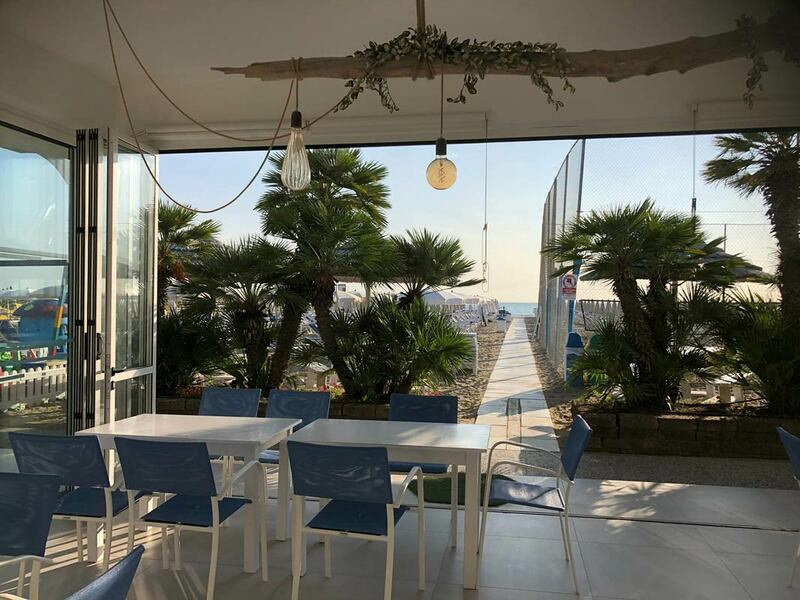 It is a historic bathing establishment among the oldest in the area as it has been opened since 1968 and has wholly been renovated in 2018. 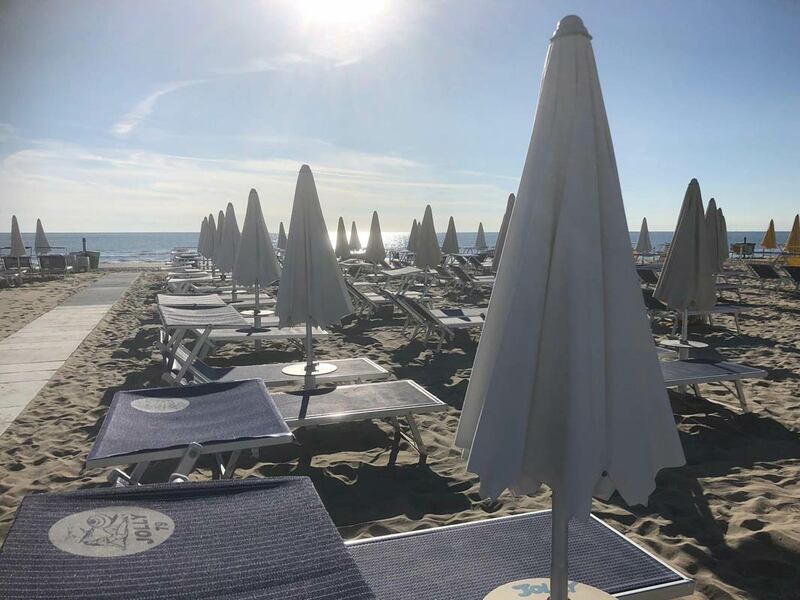 Sun umbrellas, sunbeds and loungers are brand new and make are the backdrop of a well-kept, clean and neat shoreline. 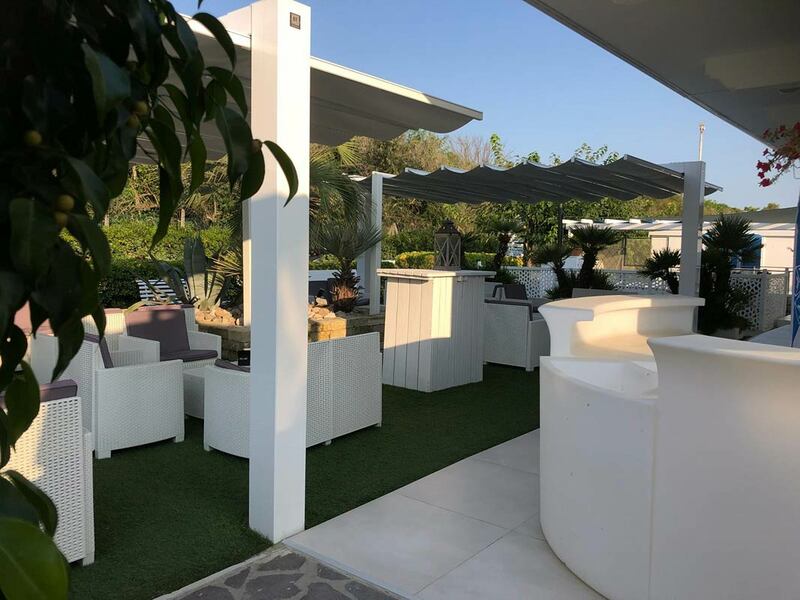 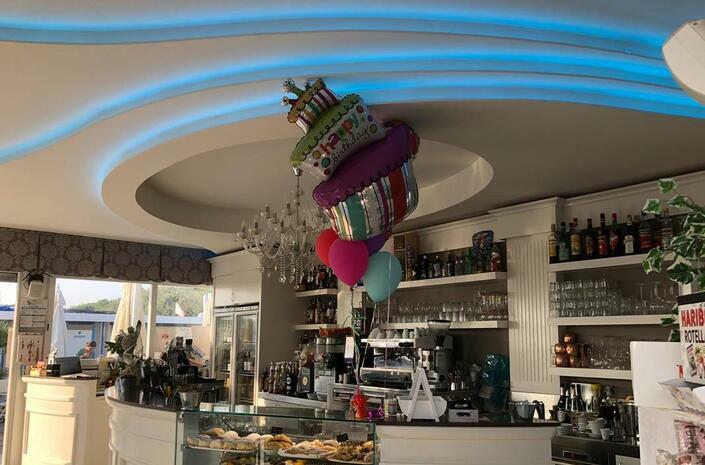 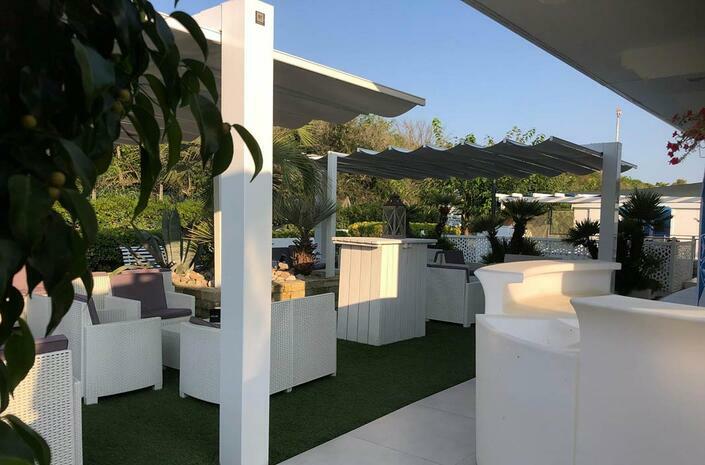 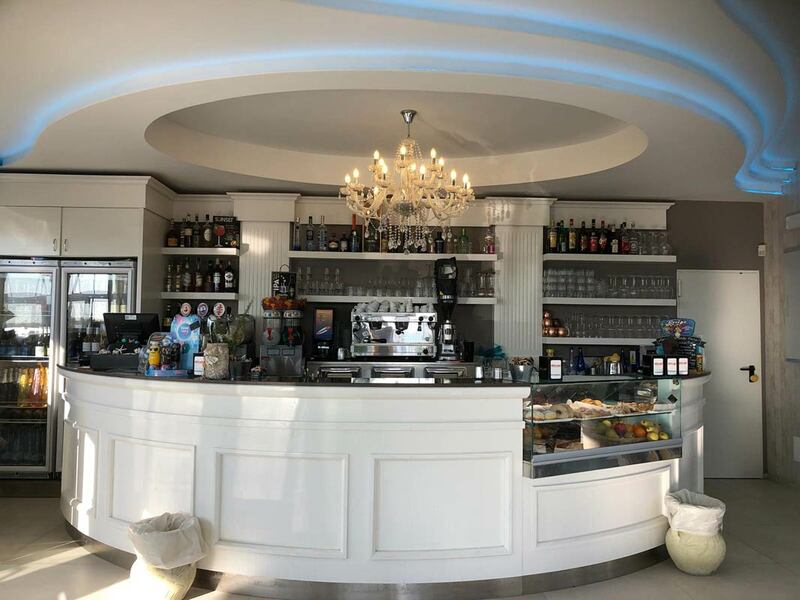 In 2018 we also inaugurated a new functional and elegant Bar where you can sip an excellent coffee or order a delightful happy hour served in the new lounge area with Pinarella’s pine grove on the background. 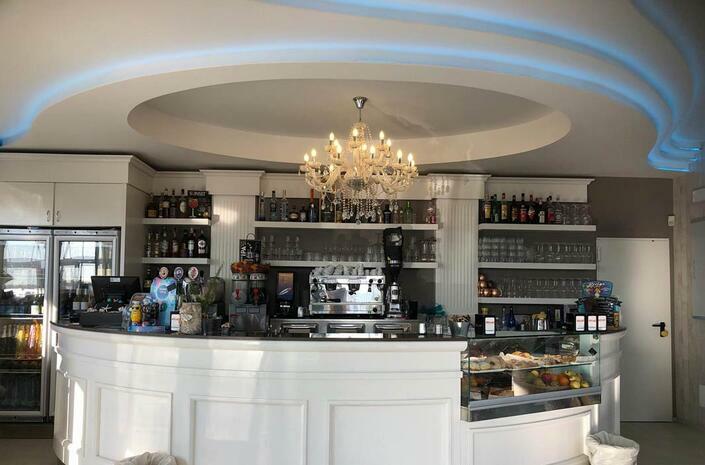 Even our kitchen and Restaurant have been fully renovated to provide a culinary service consistent with the style of the new property. 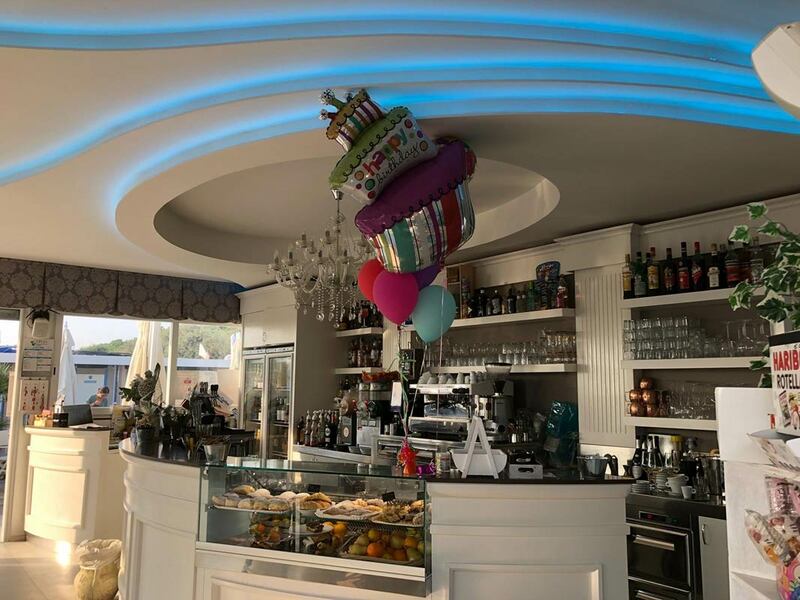 The new restaurant is named SetteNove - Ristoro Marittimo, and partners with Donatella Hotel. 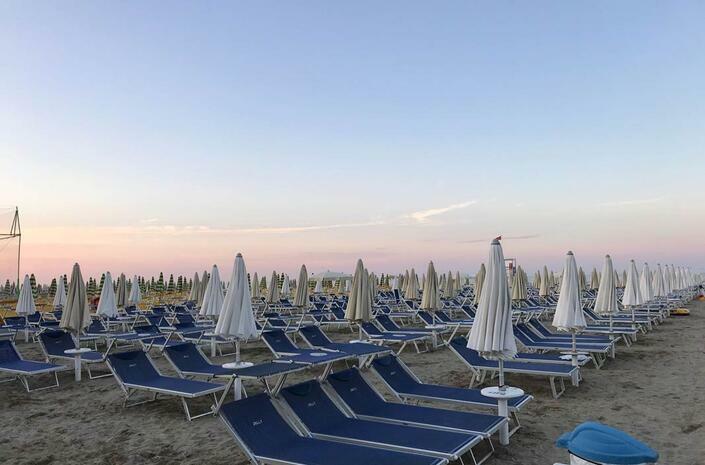 By booking the Half Board Package, we give the possibility of consuming meals on the beach at a discounted price. 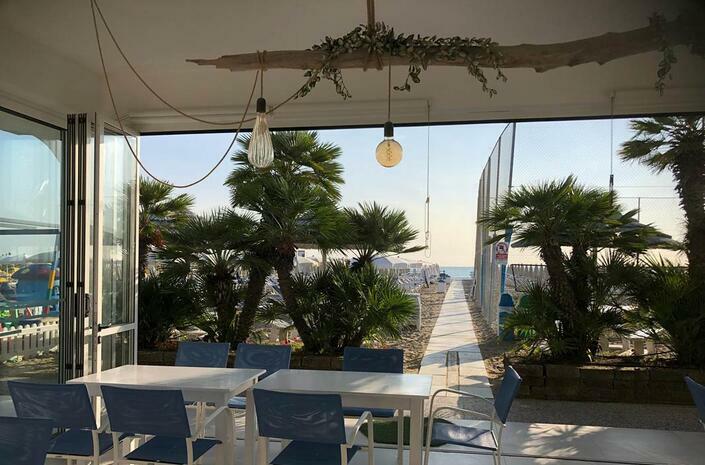 The menu specializes in – without being limited to - fish specialties, and is able to combine Romagna’s traditional cuisine with dishes revisited in a modern twist. 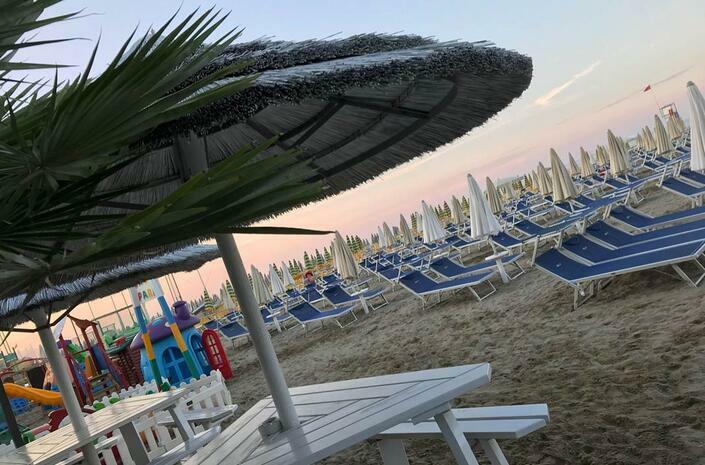 Bagno Jolly is also equipped with sports facilities including 2 regular fields of matkot and beach volley, a regular petanque court and various PlayGrounds for our youngest guests.